Whether you're celebrating an impending wedding or a new job, make sure to mark the special occasions in your life with an unforgettable party. During these special times, people enjoy the chance to gather with friends and family to commemorate the event or change. Will the guest of honor host the party or will it be held on his behalf? Do you want to hold a surprise party? What is the tone of the event? Try to respect this in your invitations, decorations and any events you plan during the party. 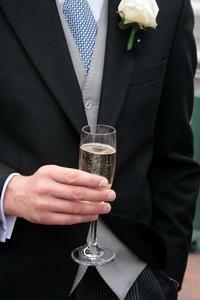 You should also consider the guest of honor's personality in setting the right tone. Special occasions call for special supplies. From silver candles for a 25th anniversary to balloons in a graduate's school colors, little details can make a big difference. Will the party require coordination with another event? For instance, if you want to plan a celebration immediately following a baby's baptism, you need to consider the time of the church service. You will also need to determine how long it will take guests to travel from the church to the party venue. Will there be out-of-town guests arriving for the big event? This may mean securing transportation from the event to the party or coordinating a start time with flight arrivals. If you are planning a party at your workplace, a common occurrence with promotions and retirements, be considerate of the work environment. Plan a potluck lunch or serve cake during a break. Reserve extended parties for after-work hours. Use the information in this category to help you events that you and your guests will never forget.